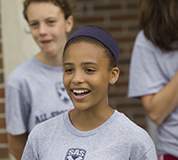 Make new friends, learn new skills, and discover new interests at SAS Summer. Summer is a great time to enjoy all that SAS has to offer. 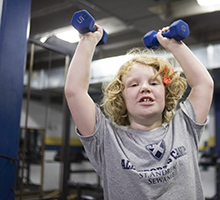 All camps are run by St. Andrew's-Sewanee faculty members. Registration for SAS Summer 2019 is now open! Gain a solid foundation of the fundamentals of basketball while learning to be a team player. Players work on fundamentals, participate in dribbling and shooting contests, and play full court games. The camp is directed by SAS Athletic Director and Varsity Coach Rob Zeitler and is assisted by Head Girls' Varsity Basketball Coach Osei Hill. 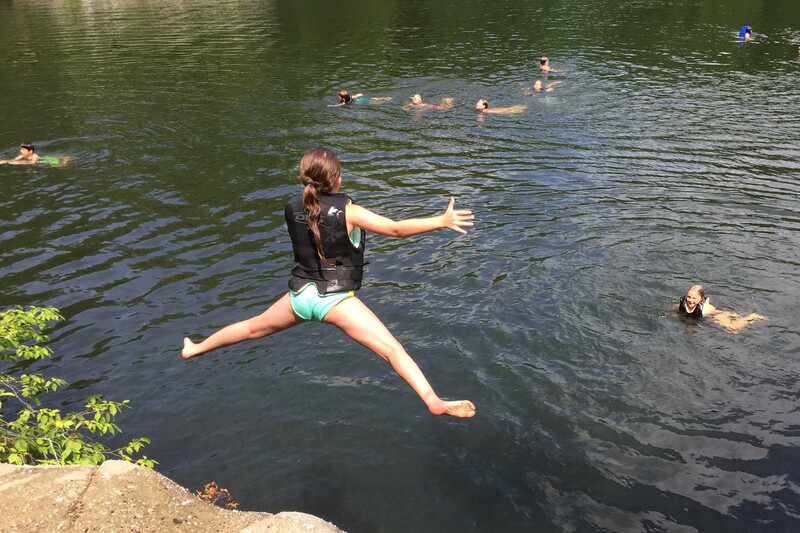 This camp will focus on hiking and swimming with some games. 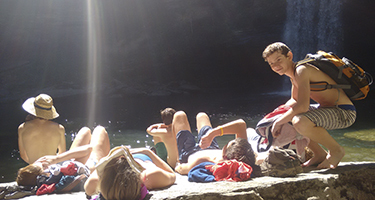 Each day, we will hike to a different waterfall, swim, eat lunch, enjoy a group activity, and hike out. One day will include canoes, kayaks, and games at the Res on the St. Andrew's-Sewanee School campus. Thursday will be an overnight camping experience. The camp is directed by Michael Short, director of the SAS afternoon adventure program, coach of the school's climbing team, and middle school teacher. 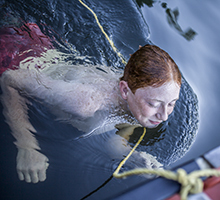 Michael is a Wilderness First Responder (WFR) and a lifeguard. He is an Eagle Scout and Appalachian Trail Thru-Hiker. Mr. Short will be assisted by Marcus Murphy, the school's Chinese teacher and International Student Coordinator. Marcus is a former outdoor program leader at McCallie School and the Center on International Exchange's Education for Environmental Action program in Beijing. He was owner and manager of Qingdao Adventures, an adventure tourism and environmental education company in Qingdao, China. Like Michael, Marcus is Wilderness First Responder certified. Note: This program is limited to 14 participants. Peewee (rising 3rd graders), Junior (rising 4th-5th graders) and Youth (rising 6th-8th graders) Soccer Camps offer players instruction and drills to promote better ball handling skills and game strategy. Soccer camp meets from 9 a.m. to 3 p.m. and will include opportunities to swim at the DuBose Conference Center pool in the afternoons. The camp fee is $200 and includes a camp T-shirt. Campers are expected to bring their own ball. Coach Burns reserves the right to place children in camp divisions by skill level rather than strictly by grade level. Campers should bring an extra pair of socks, gym shoes and cleats, lunch, shin pads, soccer ball, sunscreen, a water bottle, a swim suit, and a towel. All campers should be dropped off and picked up at the SAS gymnasium. The camp is directed by SAS Middle School Soccer Coach Margot Burns with assistance from Varsity Soccer Coach Harrison Camp. Both coaches hold a US Soccer Federation "B" license. Coach Burns was named the Southern Collegiate Athletic Conference's Coach-of-the-Year in 2002 while coaching at the University of the South. Camp SAS is back! A traditional, summer, day camp, Camp SAS is an opportunity to play games and do crafts while hanging out with old friends and making new ones. Mornings will include group games like capture the flag, dragon tails, soccer, basketball, and dodgeball. In the afternoon, campers will exercise their creativity while exploring a variety of arts and crafts. On at least one day, campers will explore the trails of SAS and enjoy a picnic lunch. Considering enrolling at SAS? This camp will be a great way to get to know the campus. Camp Director Christine Monahan, a history teacher and head houseparent at SAS, has been teaching students of all ages for close to two decades. She previously taught history, social students, and English language arts at schools in New Hampshire, Massachusetts, and Connecticut. In her spare time, she enjoys exploring a variety of crafts. Note: This program is limited to 30 participants. All-Sports Camp is a general sports and activity camp. Campers will enjoy a variety of sports including soccer, kickball, dodge ball, basketball, tee ball, and swimming. 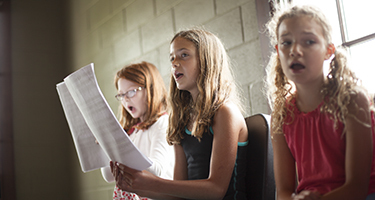 This camp is a great way for kids to make new friends in Sewanee and enjoy active days outdoors. Camp Director Harrison Camp is SAS varsity girls' and boys' soccer coach and strength and conditioning coordinator. He is former assistant coach of the University of the South women's soccer and track and field teams. Coach Camp holds a B.S. in Education and Sports Studies from the University of Georgia. The following camps are not run by SAS but are held on the SAS campus. Check out our summer partners. Nurture your creative side with Shakerag Workshops, our weeklong arts opportunities for adults. Enjoy more photos from last year's camps.